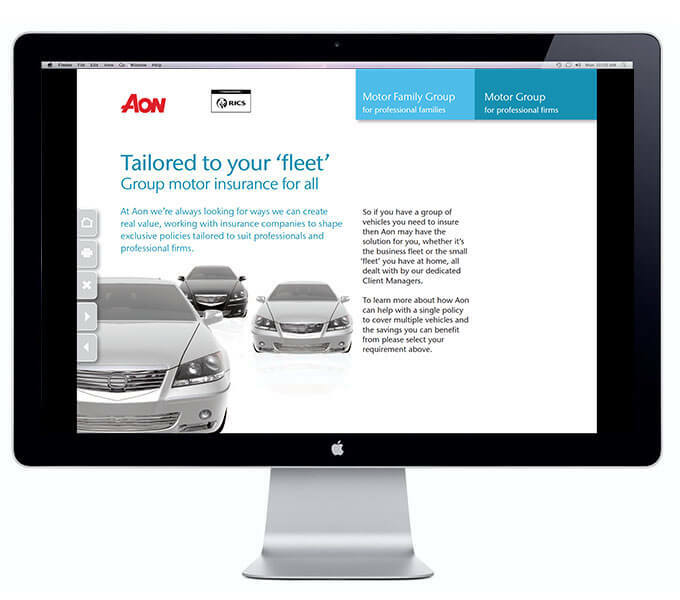 You do not need a huge budget to create useful on-screen marketing material. 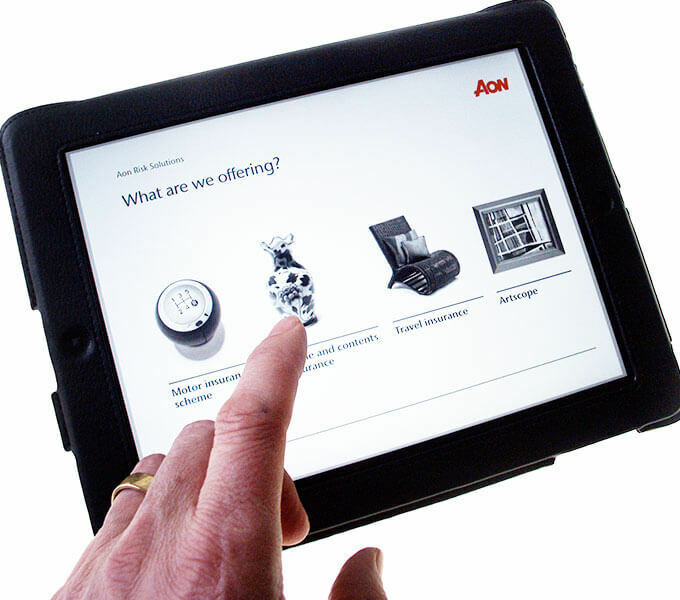 We have created Faux Apps – interactive pdf brochures and presentations for various Aon products. 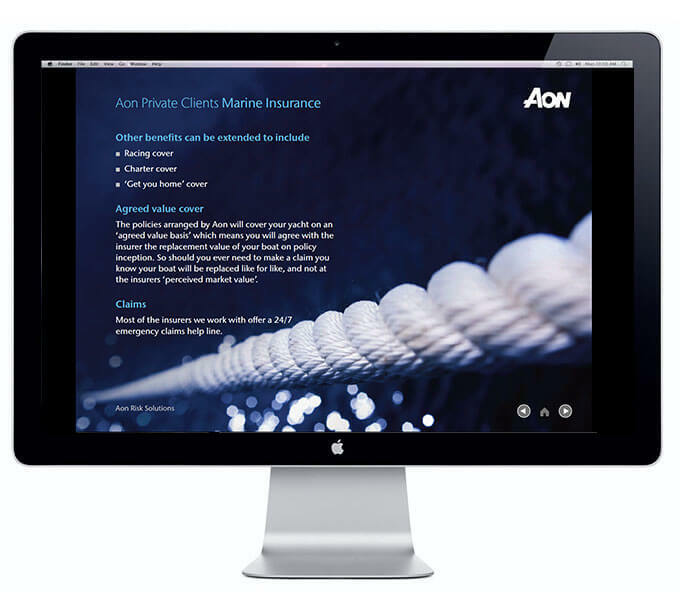 These documents can be hosted on Aon’s website for download, emailed or loaded on the sales team’s tablets for client presentations. Likewise there are instances when neither printed forms nor web forms are sufficient for your needs. 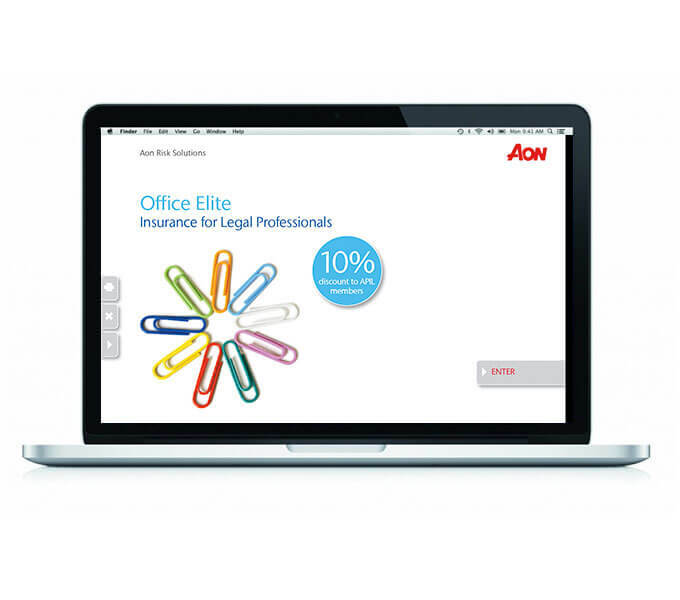 Working with Aon we have established the standard for efficient interactive pdf application forms. These can be downloaded, sent and submitted via email, and record copies kept by the customer. We also advise on the processing and extraction of form data.